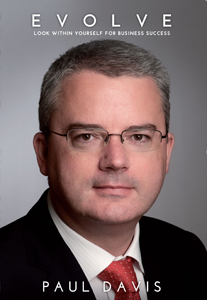 As a leading business development and growth specialist in Ireland, a management accountant and a certified management consultant, Paul Davis’ work with hundreds of businesses over the years has led him to believe that everyone has it within themselves to truly succeed in business – to truly succeed. In EVOLVE, Paul shows us that there is a blueprint for success. This includes our assessment of ourselves and the part we play in other peoples’ lives, and the effect we have. The work we do has a much broader reach than we can imagine. And even though we might do a small thing, those ripples build to massive waves right across this world we call Planet Earth. We have it within ourselves to be successful. When we connect with our inner selves, as everybody can, then we will be in a zone where we are doing exactly what we love to do, and it’s as if everything in the universe is contriving to make things happen to move us forward to reach our goals. By working with this inner knowing and applying the principles outlined in this book, we can build a successful business. If we get these foundations right, we will have a business that is sustainable for years into the future. From his own experience in working with businesses, Paul knows that the more often these critical factors are implemented into business, the more successful the business leaders become. He believes that these factors will become more relevant in doing business in the future, and businesses that don’t adopt them are likely either to fail or to struggle to make a mark in their sector. Rarely do we get an opportunity to obtain the insights of a successful business growth specialist. Paul uniquely opens the discussion on how we can do business. He argues that it’s when we lift the veil on who we are as individuals and marry that with our business skills, we have the ability to reach our full potential. From this evolved space, we can make a real difference in our organisations as leaders. This book opens us up to a world of possibilities that are often ignored in a business context, although they are critical both for businesses and for businesspeople personally as we EVOLVE in the way we do business. 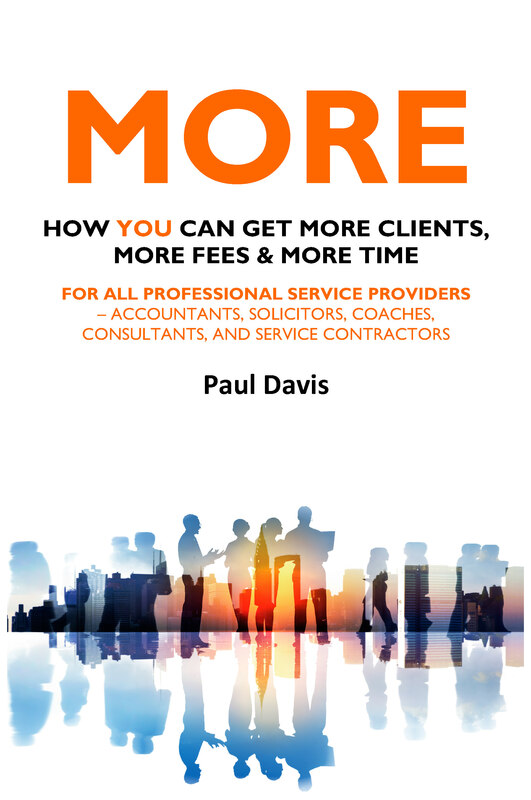 Paul Davis’s EVOLVE reminds us that successful businesses are those that make a profit while at the same time bringing benefits to the wider community. To enable employees to ‘get up in the morning looking forward to coming to work’ is an objective that every business can strive to achieve because, with that spirit, everyone wins, including customers! Business consultant and author Paul Davis grew up being told by kith and kin that there was something special about him. He was born the seventh son of a seventh son, and daily processions of the frail and infirm would shuffle into the ‘good room’ of Davis’s home to receive the puzzled child’s blessing. To his amazement, Davis also found that he could ‘heal’ electronic equipment too. Without technical know-how, Davis recalls that he could take apart broken radios and televisions and get them back into working order. A love/hate relationship with his restorative prowess subsequently developed, until Davis cried out to the heavens for help, a request he says was promptly answered. Years later, Davis has directed his mysterious gift onto the business world, bathing everything he touches in the bright glow of success. He says that Davis Business Consultants has worked with all manners of business clients over the years, with unmitigated success. “Every loss-making business I ever worked with I was able to turn around and their profits would increase with very little effort,” he claims. Davis has distilled some of his uncanny abilities into literary form, via the book EVOLVE: LOOK WITHIN YOURSELF FOR BUSINESS SUCCESS, published by Oak Tree Press. Business consultant Paul Davis has produced a useful blueprint for business success with his newly published book, EVOLVE. The book offers practical guidance on steps towards success, along with some good motivational advice and an ethos that is in keeping with the demanding economic climate. The book comes with nods of approval from Senator Feargal Quinn and from Ian Talbot of Chambers Ireland.